Well our season has come to an end but don’t worry! We still have some fun items in the stand! 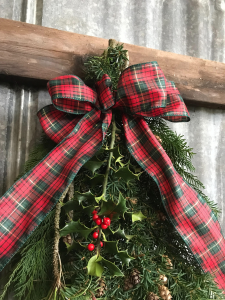 Do you need a simple Christmas present for someone or perhaps you want to add some new decorations this Christmas in your home? 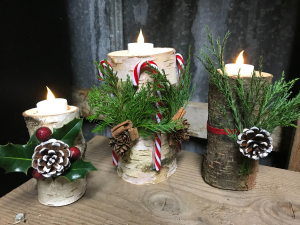 We have handmade Birch candles holders and swags available. Kim and I would just like to say THANK YOU for such a great season and we can’t wait for 2018!! We love our customers!